Tom and his lads have done our roof repairs and we would recommend them to all our family and friends. Many Thanks Tom for coming out today in not the best of weather conditions to replace our guttering and soffit/fascia boards, great service and workmanship at a good price, would highly recommend. I would like to take this opportunity to thank Tom and his assistant for a very high standard of work they did last week on our polycarb roof. Also these guys worked very hard and were very polite and professional, thanks lads. We will certainly be recommending you to others and when we want more work doing will be contacting you. Thank you. Competitive prices. Reliable. Highly Recommend. I was so pleased with this good quality service. He recognised the problem straight away, giving a good explanation what need to be done. When he looking into it by taking off the tiles, he realised the problem was bigger than expected, which he show me photos. Gave me a good price. They even patches up bit around. They answer my call and came as we agree. Thank you, Mette. I have no hesitation in recommended Tomas and his Team. They did a fantastic conversion on my conservatory, fitting a fully insulated and domed tiled roof, removing the old plastic roof and keeping the whole area still habitable. All new fascias fitted, even though this was not expected, The finished product was a brand new usable room that became an integral part of the house, well done and thank you. Just had my flat roof totally re-done, excellent service from start to finish! Reliable and would definitely recommend. I have just had a flat roof replaced. The job was not straight forward due to numerous different angle and slopes. Tom and his assistant did an excellent jon and when they came across a new problem they showed me it and told me the solution. They took photos as they went on because not everyone can access their roof. This is a great help, Great Job chaps. We needed our concrete guttering removed and replaced with UPVC. 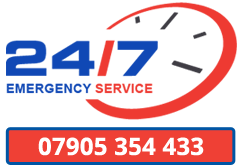 After obtaining quotes from several companies, we asked Supreme Roofing for a quote. When he visited it was obvious Tom was both knowledgeable and professional. He talked us through the work required and we asked him to undertake the task. The work they carried out was completed to an excellent standard – even down to sweeping up every day. After the job was finished, Tom arranged for a window cleaner to wash the windows and all the UPVC – a very nice touch. On top of this the price was considerably less than other firms and we would definitely recommend Supreme Roofing to everyone. I only have one criticism – they worked so hard, their cups of tea always went cold! !